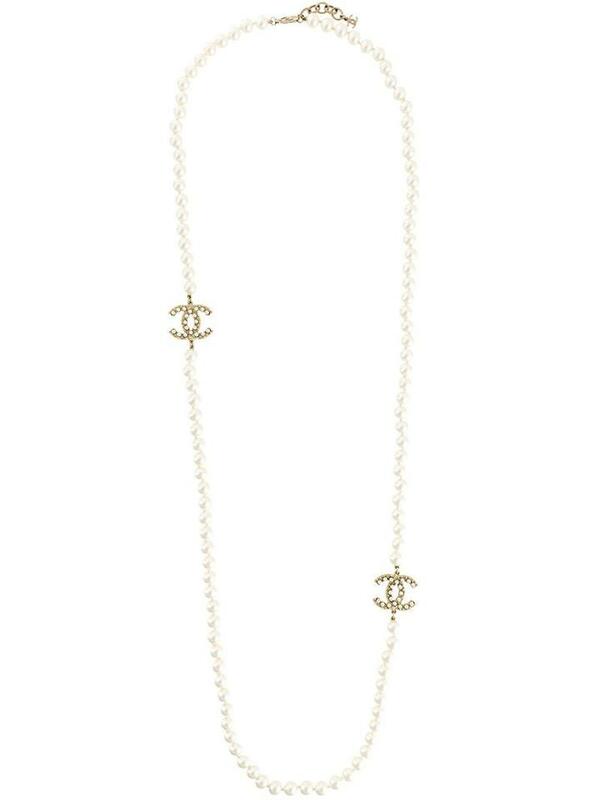 Ivory faux pearl necklace from Chanel Vintage featuring a lobster claw fastening, a lariat length and two interlocking CC logo charms with faux pearl embellishments. Please note that vintage items are not new and therefore might have minor imperfections. Size: OS. Color: Pearl. Gender: Female. Material: Metal (Other).